1. Cut a white panel sized 2¼˝ x 5½˝ and cut with Spellbinders Curved Borders One die template. 2. Cut a white panel sized 5 x 5½˝ and swipe Memento London Fog ink as shown. 3. Swipe Lulu Lavender ink in various areas on the panel as shown. 4. Fill the rest of the panel with Summer Sky ink as shown. 5. Add your Snow Hill border and Row Houses to the panel. 6. Use the Wedding Dress Pico Embellisher to add snow to the houses, hill and sky. 7. 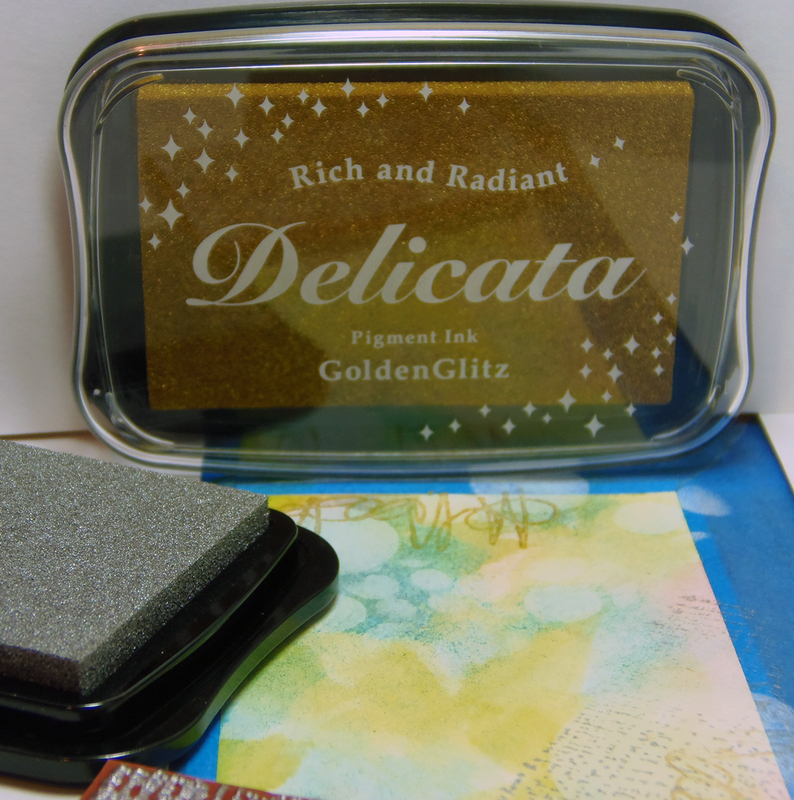 Add glitter and a sentiment and glue the panel to a card. 1. Cut a white panel 4¼ x 5½ inches and spray with Radiant Neon irRESISTible Spray Electric Pink. 2. Spray panel with Radiant Neon irRESISTible Spray Electric Blue. 3. Spray panel with Radiant Neon irRESISTible Spray Electric Purple. 4. Spray panel with Radiant Neon irRESISTible Spray Electric Green. 5. With a fork, drag the tines through the still wet sprays until you are happy with the results. 6. Cut an oval from Spellbinders Oval Bliss die set and stamp with a sentiment from JustRite Papercraft’s Colorful Brushstrokes stamp set using Memento Tuxedo Black ink. Add 3D foam squares to the back. 7. Cut a panel 4⅜˝ x 5⅝˝ inches from hot pink cardstock. Adhere the Neon panel to it, and then wrap with teal string. 8. 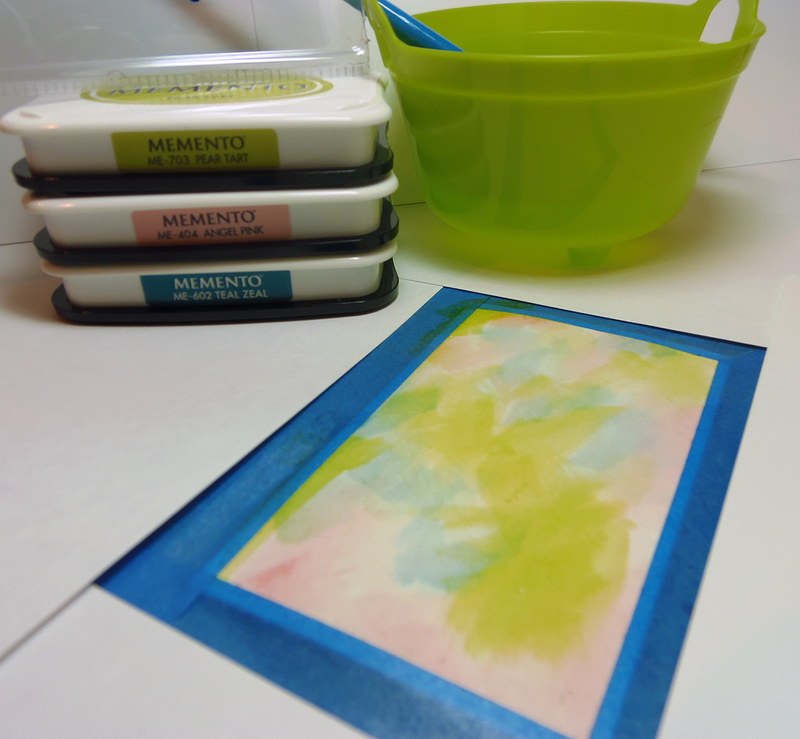 Add the sentiment to the panel and glue panel to a teal card, sized 5 x 6¼˝ inches. 1. 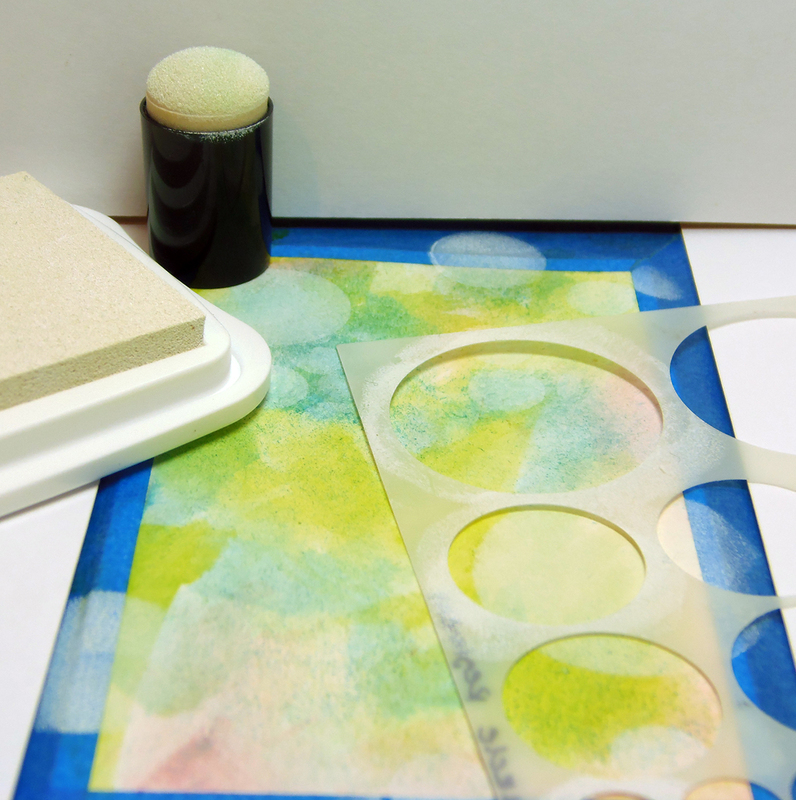 Glue tissue paper to white cardstock. 2. Add Boutique Alpha Letters Stencil Mask (S, N, O, W) to tissue cardstock and cut out with sharp scissors. Remove stencil masks. 3. 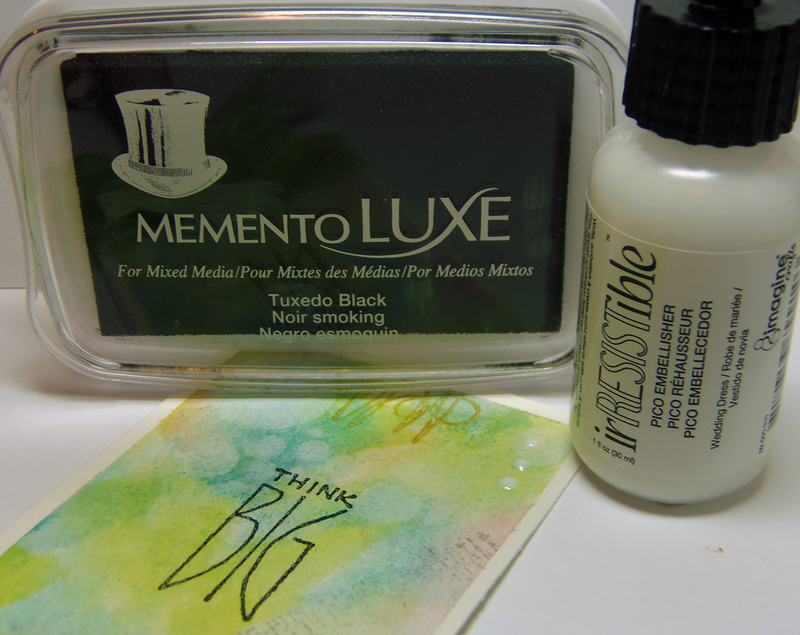 Add Memento Espresso Truffle ink to the edges of the letters with a sponge dauber. 4. 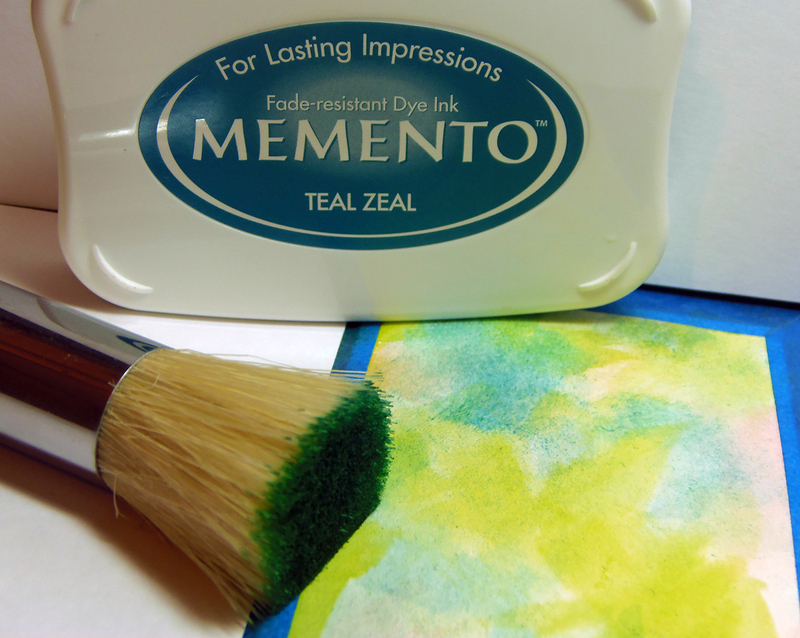 Add MementoLUXE Wedding Dress ink to a scrap piece of paper. Roll up the wax paper and use it to apply the ink to the mauve canvas for a “snow” appearance. Allow to dry. 5. Add Creative Medium Clear Shimmer to the canvas with a foam brush for sparkle. 6. Cut/emboss snowflakes from Spellbinders Snowflake Bliss die template set using the tissue cardstock and white cardstock. 7. Stencil some of the snowflakes with Espresso Truffle ink using a sponge dauber. 8. Adhere Letters to right side of canvas, and snowflakes on left side. Finish off with pearl embellishments. 1. Stamp Memory Box Bramble Sunrise with Memento Tuxedo Black ink on white cardstock panel, sized 4 x 5 1/4 inches. 2. Sponge LuLu Lavender ink onto panel, omitting the moon and part of the brambles, with an ink blusher. 3. Sponge London Fog ink onto panel, omitting the moon and part of the brambles and leaving some of the LuLu Lavender ink showing (you are producing a gradient effect), with an ink blusher. 4. Sponge Grape Jelly ink onto panel, omitting the moon and part of the brambles and leaving some of the London Fog ink showing (you are producing a gradient effect) with an InkBlusher. 5. Sponge Tuxedo Black ink onto panel, omitting the moon and part of the brambles and leaving some of the Grape Jelly ink showing (you are producing a gradient effect), with an InkBlusher. 6. Sponge Dandelion ink in the center of the moon. 7. Outline the brambles and spiderweb with Clear irRESISTible Pico Embellisher and allow to dry. 8. Cut and emboss Spellbinders Monarch border and E, E, R, I, E from Font One – Uppercase using black cardstock. 9. Add border at base of your scene to resemble a fence, add letters to the upper left corner, apply rhinestones to fence and glue panel to a card.